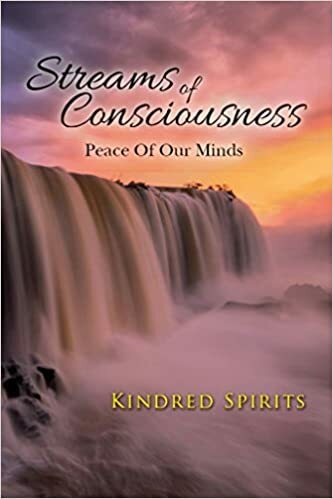 Streams Of Consciousness Poetry book by Kindred Spirits, a poetry group. I haven’t read this book so its a promotional post today, not a review. I admire the group for actually doing something tangible, usually people Talk grand ideas but don’t get round to Doing anything about them. Well done for achieving this. A poetry workshop to celebrate Black History Month last October has now led to a group of Kingston University students anticipating the publication of their first book of poems which was released in late March. The book, Streams of Consciousness, is a compilation of poems students across faculties, and includes collaborations with award winning poets Deanna Rodgers and Sabrina Mahfouz. The authors wrote about subjects they are passionate about, but the themes are ones that all can relate: loneliness, love, joy, and family. The original poetry workshop was last year and this year was dedicated to getting it published. It started as a group of p​eople with no experience or some experience of writing poetry and we surprised ourselves with what we were capable of creating. ​I​t seemed a waste to let all the talent disappear without being seen so we decided to write the book. Deanna and Sabrina heard about it and were so impressed with the writing they asked to be a part of it, which is a huge compliment and endorsement of everyone’s work. We had our official launch on Monday the 29th of June which featured live performances, readings, and networking at the Poetry Café in Covent Garden. When we hear a poetry project most of us will picture arts students, however it’s quite different in this case.